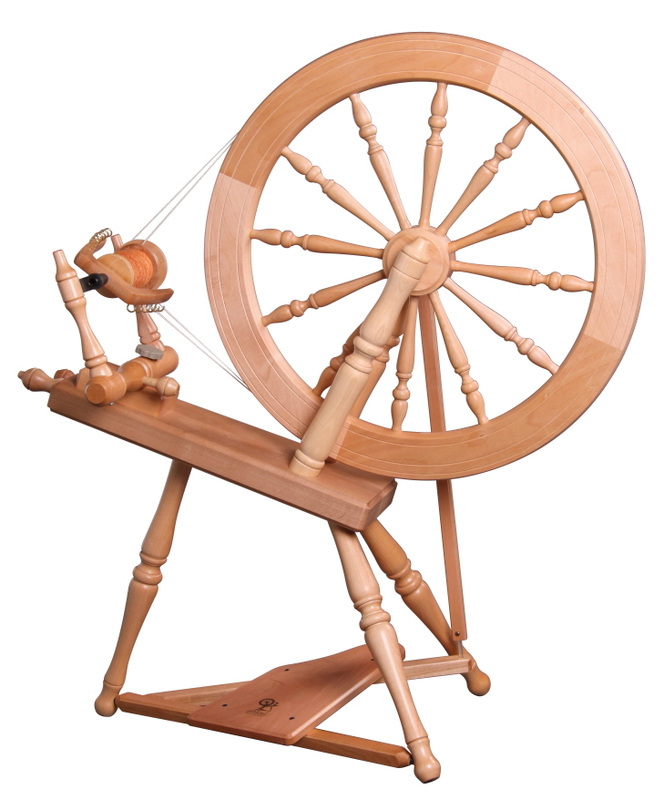 This beautifully crafted wheel has a large 61cm (24ins) wheel with 12 spokes mounted on ball bearings for smooth effortless spinning. Horizontal adjustment of the maiden bar allows perfect alignment with the 3 speed whorl. The maiden bar clamps to the base eliminating vibration. Horizontal lazy kate with 4 bobbins included.